Fairy Falls is east of Portland. Picnic/Rest area is available on north side of road at Wahkeena Falls. Parking area for Wahkeena/Fairy Falls is 12 miles from original reading. 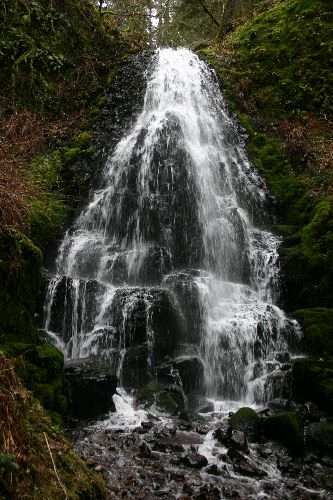 Fairy Falls is one mile up the path past Wahkeena via switchbacks.